We travel a lot in our family. Mr. Jones job involves 65% travel so we have become near professionals getting him ready and off, even at a moments notice. There have been moments he has called me from the office asking me to have a bag ready when he swings by the house or to have bag ready at the airport as he flies in from one meeting or job site only to immediately fly back out to the next safety emergency. As the for kids and I we love to travel and hit the road continuously throughout the year from the five hour drive to the Grands to a trip to the beach or mountains for a get-away. In the last six months, we have made 4 trips to Tennessee, taken a Disney cruise, I attended the Kentucky Derby, & just last week Audley & I flew to Colorado (he had a meeting and I happened to be teenager free). Being on the go this much I have learned a few tips and tricks for making the packing process easier whether we be traveling by car or plane. Hopefully these will help you be a little more organized the next time you and your family hit the road. **As soon as your plans are made for a trip start your packing list. 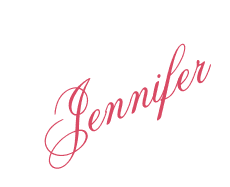 I know you can’t actually check weather and won’t have final plans until closer to departure dates, but you can begin a basic list of necessities; toiletries, underwear, socks, potential outfits, toiletries, etc…. Once you can check the weather and you have decided on activities to include on your trip, you can add to your list making it as detailed as possible. Checking the weather is actually very important because you don’t want to arrive at the top of Pikes Peak in June and discover it is 37 degrees. 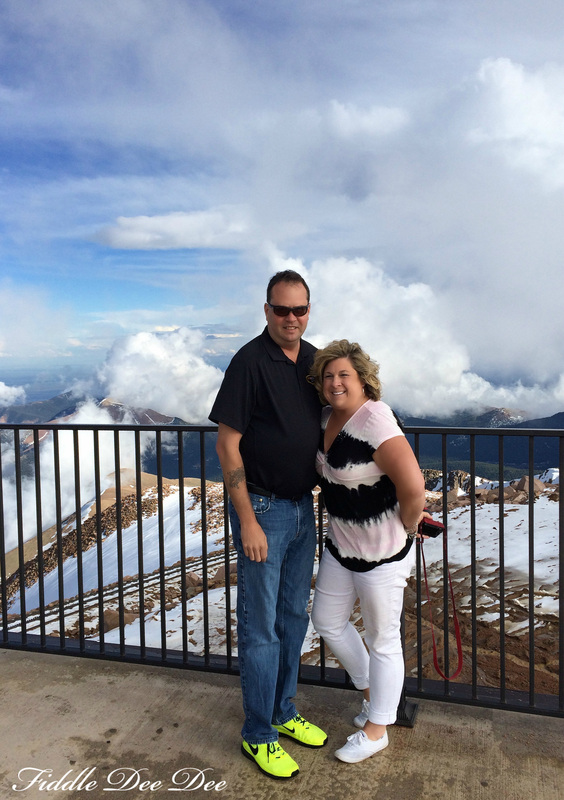 Freezing our bums off on Pikes Peak … It was a last minute visit, but WOW…..! ** Try not to pack anything that isn’t essential to your trip. Look at your plans and pack accordingly. If you are headed to the beach besides a swim suit you may also want to include cropped pants or shorts, sundresses, and maybe even a pretty dress for a nice meal out. If you are planning a trip to New York you will want comfortable walking shoes, casual attire and of course a little black dress (a coat and tie for the guys) for a night at the theater! If your trip involves a golf game, be sure to remember your golf shoes as well as checking with the facility and getting their dress-code. Also, if you workout, throw in an outfit & shoes for the hotel gym. Over packing only takes up space that you can use for that antique clock you might find in a shop on a side street in NY or make you suitcase heavier than you can easily manage. 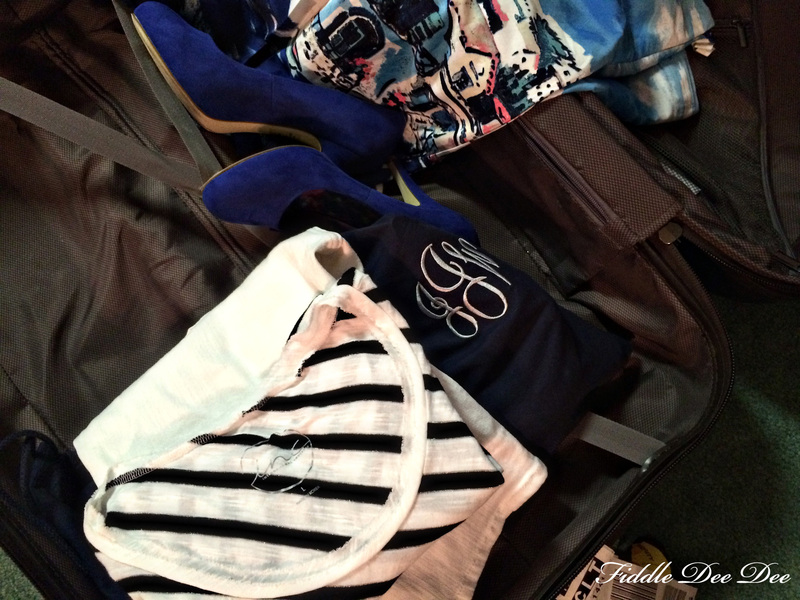 **Before adding clothes to your suitcase, lay out all of your outfits. Try to match shoes and accessories to more than one outfit to save space for packing. After you have clothing for each event/activity you have planned, pack one extra outfit that can be dressed up with strapy heels for dinner or cute sandals for casual stroll in case of emergency. **Shoes should be the first item packed in your bag. Since they are the heaviest (and the one item I tend to over pack & then have to remove), you want them on the bottom so that they aren’t wrinkling your clothes. Use shoe bags (grocery bags also work well) to protect your shoes from scuffs and to keep them from getting our clothes dirty. ** When you begin packing your clothes, add the heaviest items on the bottom (jeans, sweatshirts, etc), then add your tee-shirts, pajamas, blouses, skirts, & more delicate items to the top. You can also use tissue paper between your layers of delicate items for added protection. 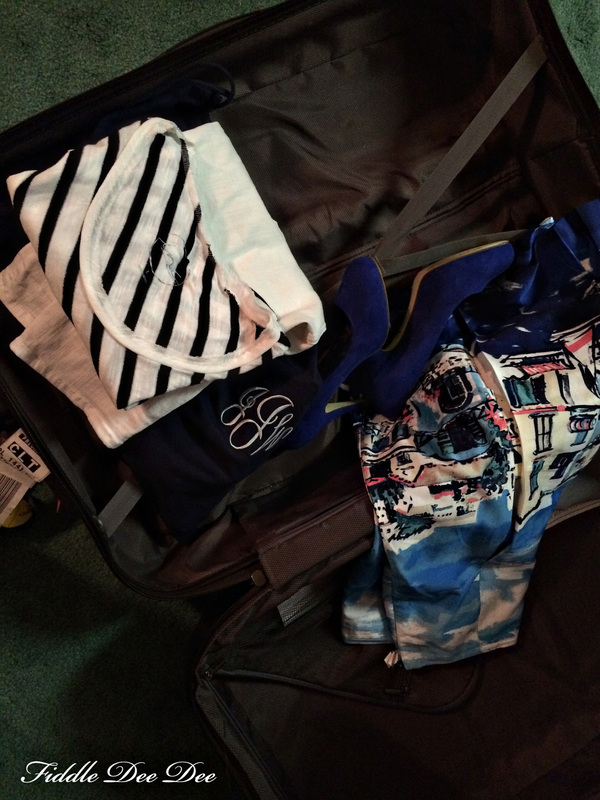 Items like swimsuits, socks, & underwear can be folded (or rolled) and tucked into the sides of your suitcase. I generally carry any jewelry I am taking in a carry-on bag if I am flying, but if traveling by car use a small travel jewelry box (you can generally find one at TJ Maxx)or ziploc bags separating the items and place them in your shoes for safekeeping. **When packing toiletries, I always look at my accommodations. I know if we are headed to my parents, shampoo & conditioner will be provided. If we are staying in an Embassy Suites I also plan to use their toiletries as they use Crabtree and Evelyn products which I LOVE. Most of the time I carry my own toiletries. I use multi-purpose clear bags no matter how I am traveling. You can purchase travel size items at Target that will pass for air travel as be convenient for road trippin’ as well. Also, those gift with purchase items from Lancome, Estee Lauder, Clinique and other cosmetic companies are perfect for travel. In one of my clear bags is my facial products, the other has other travel necessities from Q-tips to toothpaste and a toothbrush. My toiletry bags fit easily in my suitcase if I am traveling by car and work just as well for a carry-on bag if I am flying. If you think you can slip a large can of hairspray, perfume or mousse through airport security in your carry-on, you can’t. I lost many items before this lesson was learned. I keep these bags packed at all times so that they are stocked and ready when I am. When flying I pack my curling iron or straightener in my suitcase (almost all hotels provide a hairdryer), but if I am traveling in a car I carry a separate bag just for my personal items. If you have daughters traveling with you, share these items. There is no need for three of each item taking up space. ** Traveling with make-up is a necessity that can also be a pain if you don’t plan ahead. 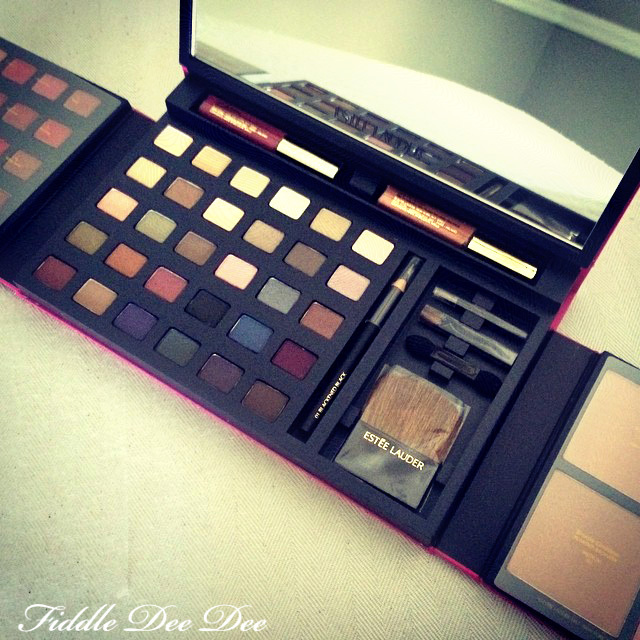 Those great multifunctional kits that you can purchase at Ulta and Sephora (By Two Faced and Urban Decay) year round or during the holidays from Estee Lauder are perfect for travel. Many times these kits contain eye shadows & liner, lip glosses, & blush. All you need to add is foundation (Estee Lauder will do a free 10-day supply for you to try) and mascara. Simple and effective for having you ready at a moments notice. 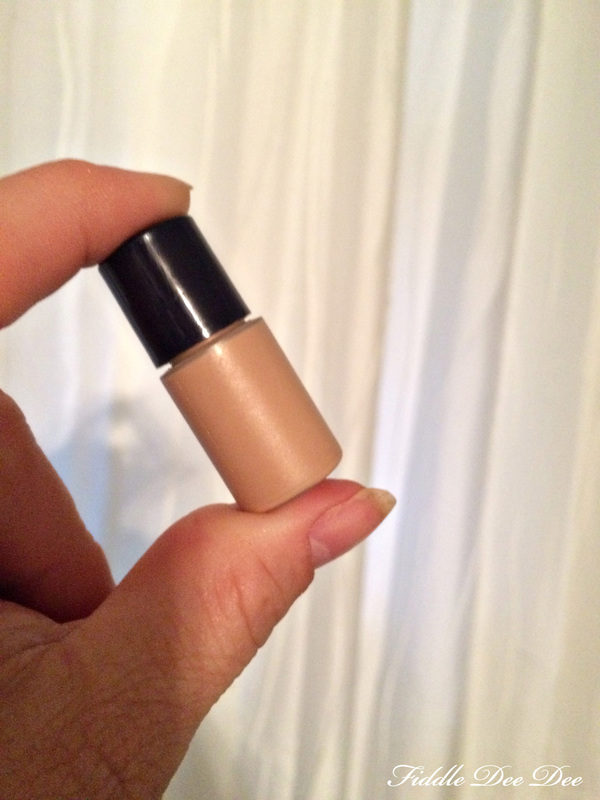 10-day supply of foundation keeps you from having to carry an entire bottle. Something that will help you out for future trips is before you plan your next trip, make a packing list you can keep on hand at all times that consists of basic outfits, shoes, underwear, etc…. With all the note keeping apps available for our phones you can keep it on hand in case you ever have an emergency and need to throw together a bag. With summer vacation in full swing I thought it would be a great time to share a few of my tips for traveling while keeping your sanity, so in the coming weeks I hope to cover air travel as well as traveling by car with the kiddos in tow. What are some of your no-fail packing tips? I would love to hear them! I love the “pack the bag” app. It’s saved me lots of time. I’ll have to check that one out!! Thanks for sharing! I always take a small first aid/medicine kit and a small sewing kit. If we are on trip where we stay somewhere different everyday, I put outfits in large plastic Ziploc bags (or zip bags I’ve saved from sheet sets, curtains, etc.) and on those trips I carry a small bag that I can load each night at the car to take in the hotel rather than take a huge suitcase in every night. I keep a very detailed packing list on my computer of all the items I need I pack. Those are great ideas as well! I haven’t thought of using a smaller bag to ale into the hotel. Oh you poor kids! Freezing up there on the mountaintop! Still smiling, though. I only remember one packing trip and that is to lay trousers across the suitcase bottom and allow the legs to extend over the side. 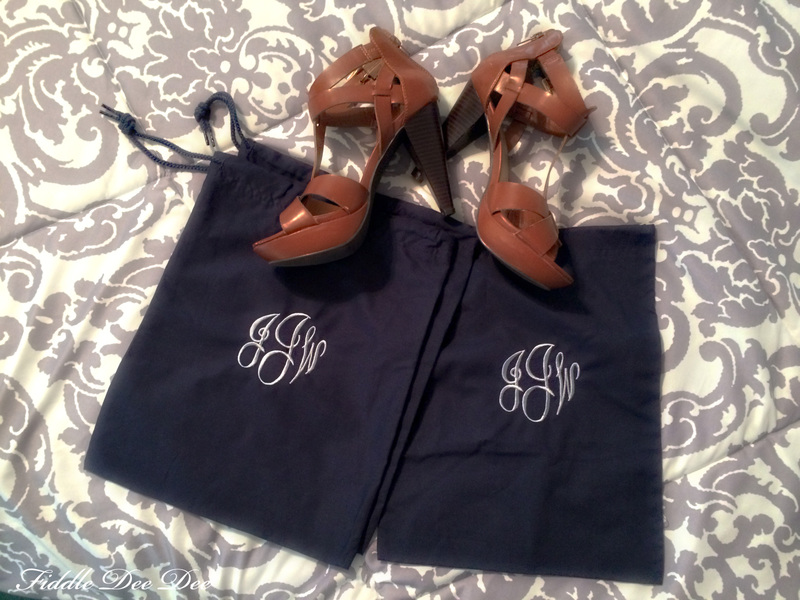 Place the next pair in allowing legs to extend on the opposite side. 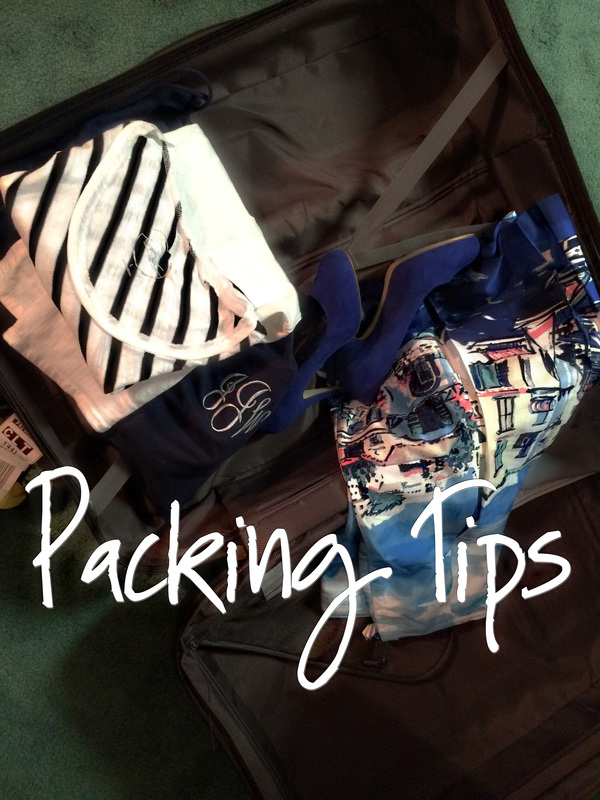 Finish packing shirts and lighter clothing and when finished fold over the pant legs for a nice, tidy package. I had no idea that Estee Lauder gives a ten-day trial on foundation. Very good thing to know. I always use packing cubes! I have a similar blog post about packing! Great ideas. I especially loved the making tips!